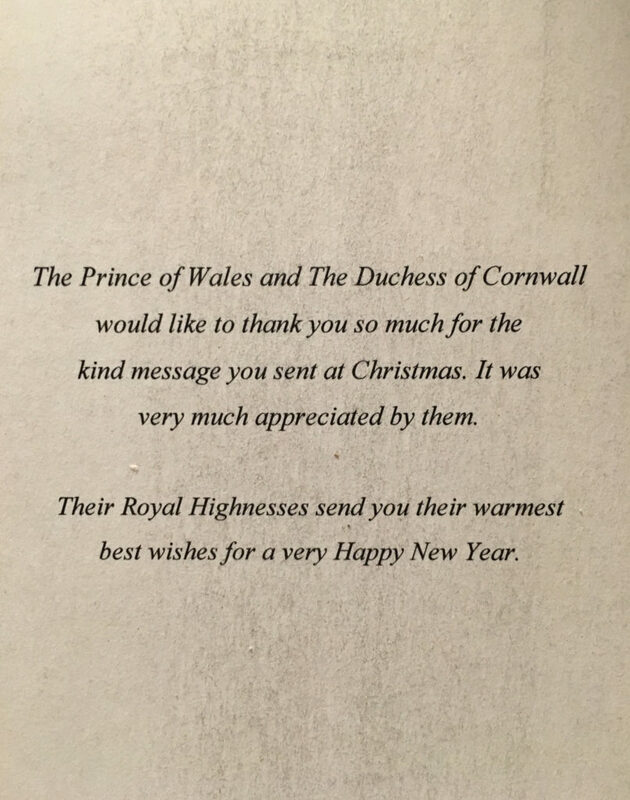 I mailed my Christmas Greetings on 29 November and this reply came today, 24 January 2017. This year’s reply features a lovely bordered photo by well-known royal photographer Chris Jackson. The back carries the standard thank you message we have seen over the years. 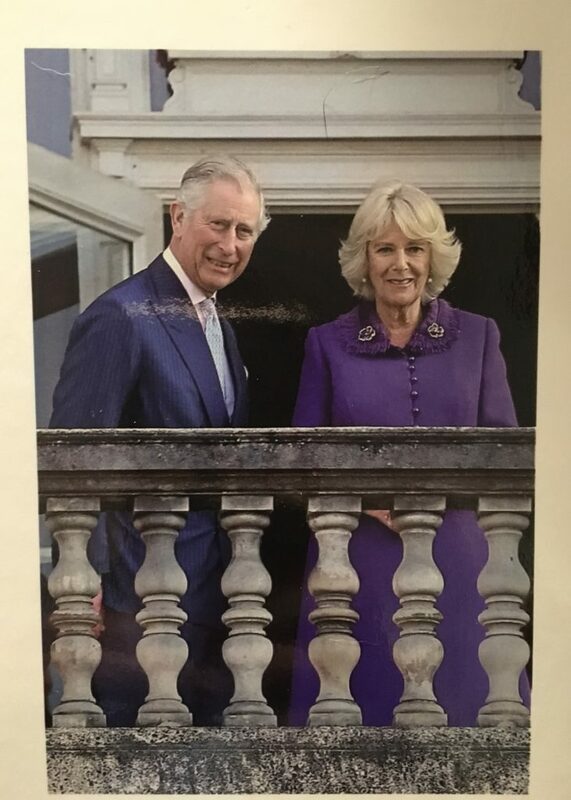 I think this is a lovely photo, and I really think purple works well for Camilla.